Dr. Mullings is board-certified in Obstetrics and Gynecology. She provides personalized and comprehensive care for women, including preventative medicine, adolescent care, prenatal care, childbirth services, and menopause management. Dr. Mullings is an experienced surgeon and offers minimally-invasive ... Read More procedures for gynecological conditions when necessary. She upholds a holistic approach to women's health, embracing preventative medicine and evidenced-based care. Dr. Mullings encourages a balanced diet, stress management, and physical activity to help her patients achieve optimal health. She is conveniently located in Southfield and Garden City. 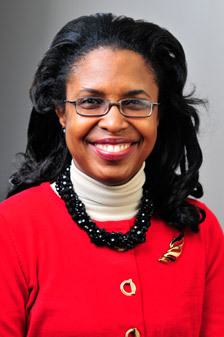 A diplomate of the American Board of Obstetrics and Gynecology, Dr. Mullings earned her medical degree from Wayne State University School of Medicine. She served in a clinical faculty position at Providence Hospital in Southfield and St. Matthew's School of Medicine teaching OB/GYN residents and medical students. Dr. Mullings has received numerous teaching awards, published research papers and was a recipient of a Laparoendoscopic award for Minimally Invasive Surgery. To make an appointment with Dr. Mullings, call 248-849-8300.